Log into your Calendly account, navigate to the dashboard, and click "Share Your Link"
Then, click "Embed on Your Website"
Choose which option you wish to use (the options: inline, popup text, and popup widget). Then copy and save its embed code - you will need it in step two when we add it to Landing Lion. Navigate to "Event Types" within Calendly. 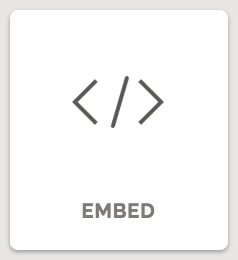 Click the gear icon on the event you wish to share and select "Embed"
Select the Embed component you just dropped and replace (select all + paste) the code snippet in the Right Pane from earlier. Congratulations! You’ve successfully integrated your Calendly Dashboard with Landing Lion.